Empowerment is something that gives people hopes and dreams, brings them courage, and prompts them to be filled with the strength to live. It is a wonderful quality that should be present in everyone. People are born with splendid abilities. And throughout their lives, they can continue to demonstrate magnificent strengths. 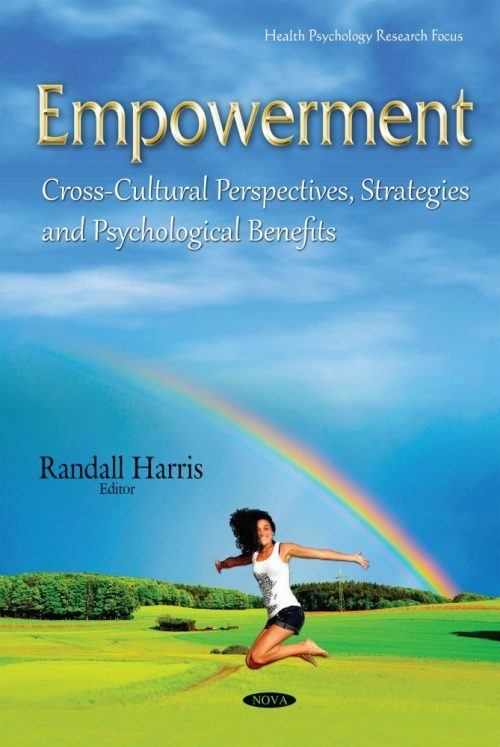 In this book, chapter one covers the latest theories and practices of empowerment. The second chapter reviews how empowerment can be a tool in both treatment and stigma reduction for individuals with serious mental illness (SMI). Chapter three discusses empowerment as a tool to enhance social integration among mainland Chinese migrants in Hong Kong. Chapter four provides a theoretical review of experiences of sexual objectification and their consequences for women. The following chapter examines empowerment of women in the tourism and hospitality industry. Chapter six describes how, through their participation in mutual assistance groups, the wives of alcoholic men are able to re-signify conjugal relationships that are usually deeply marked by physical and psychological violence. Chapter seven provides characteristics of the empowerment of Japanese families rearing children. Chapter eight provides a historical overview of the appropriation of empowerment and recovery ideas and approaches in the mental health field in Brazil. The final three chapters assess hope, provide lessons learned from an economic empowerment model, and examines prevention mother to child transmission programs for HIV-positive women living in West Nile Uganda. An Economic Empowerment Initiative Partnered with Prevention Mother to Child Transmission (PMTCT) Programs for HIV-Positive Women in West Nile Uganda: Does Participation Increase Self-Efficacy Related to HIV-AIDS Stigma?